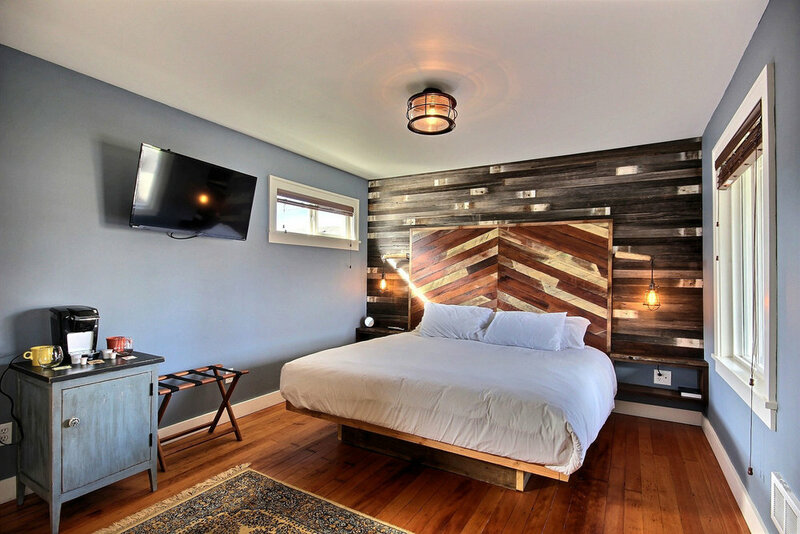 A classic roadside motel revived with a fusion of reclaimed materials and modern essentials resulting in 8 uniquely different rooms. 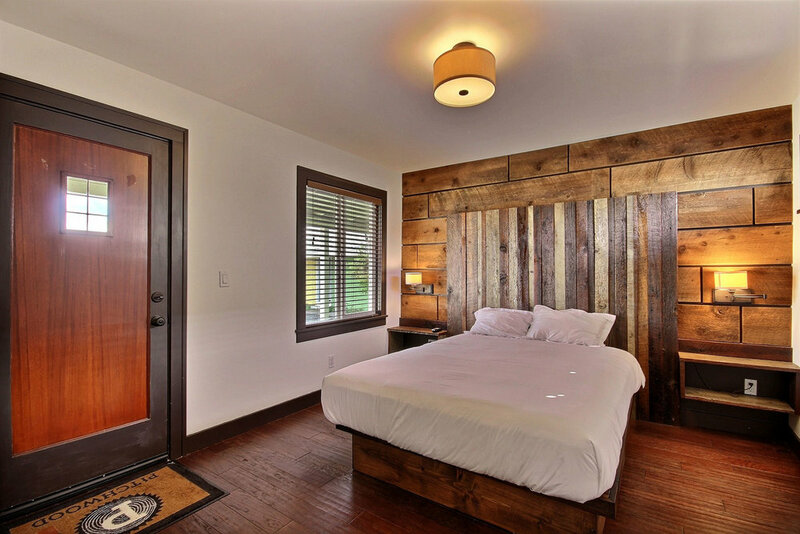 All the rooms are clean and cozy with a few modern amenities. 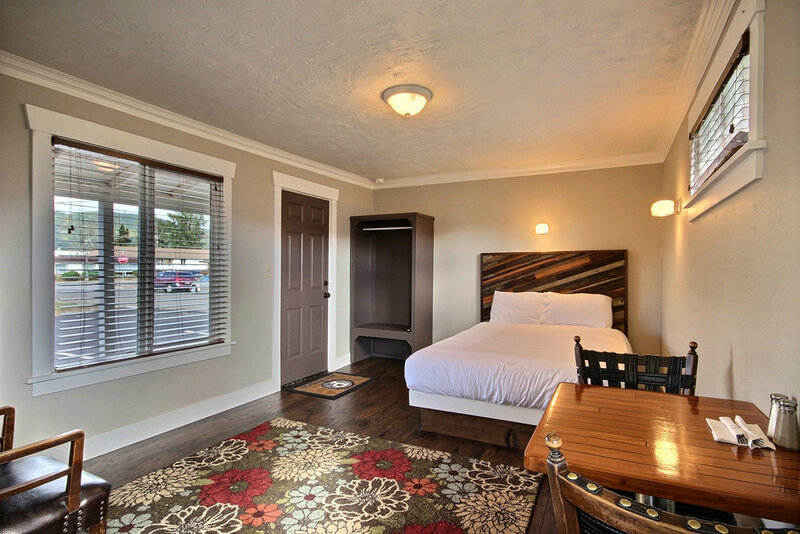 With change of ownership in 2012 the old Willis Motel began a slow transformation. 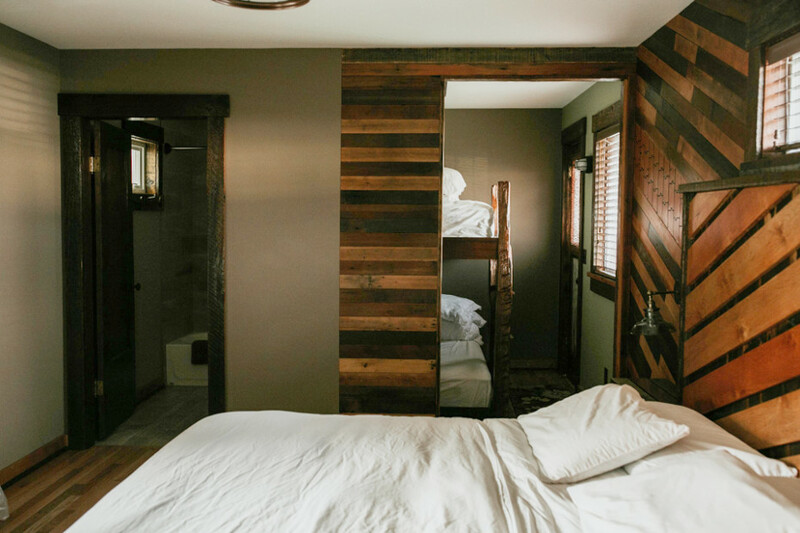 Room by room it became the Pitchwood Inn. Built to host nightly guests in the 30's by London and Emma Willis and transitioned into apartments over time, the building was showing its age. While some rooms had the unpleasant remnants of many 70's era remodels, others were simply uninhabitable with holes in the floors and walls. One by one, each room was demolished to the studs in order to bring the building up to modern building codes. 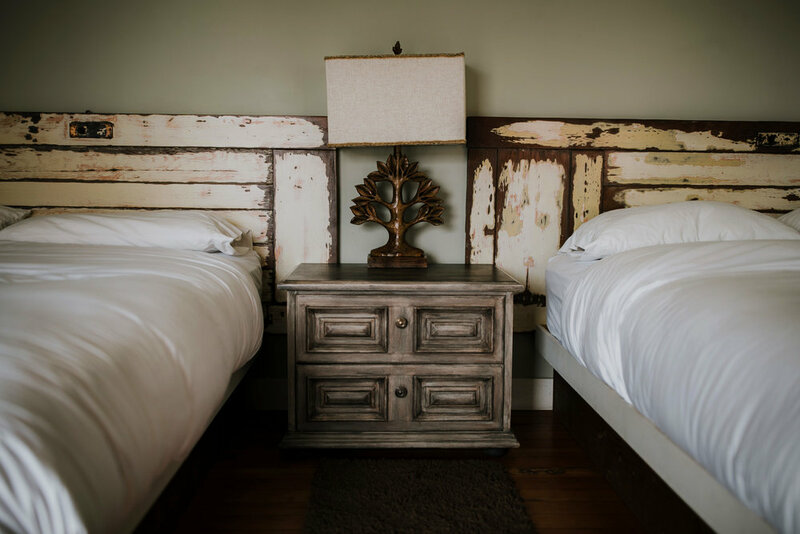 As finishing touches were added using many re-purposed materials each room began to take on its own identity, loosely following a given theme. 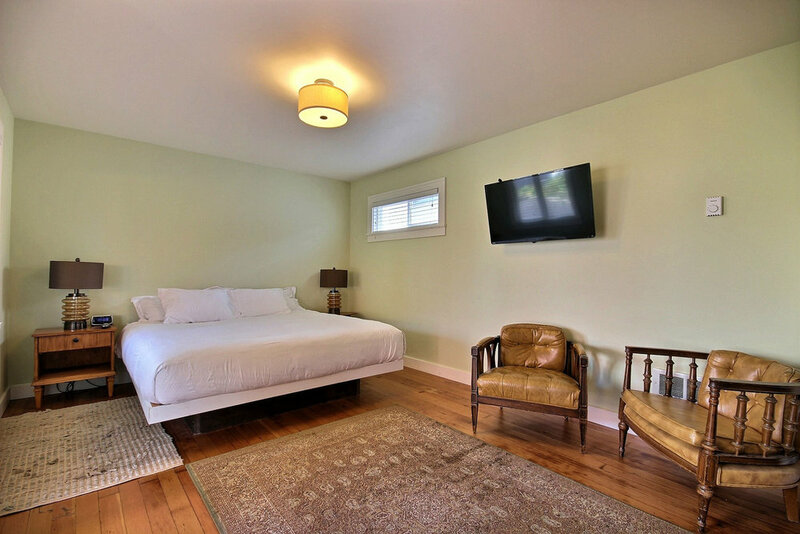 Navigate through the pictures below to see the finished rooms and our reasonable rates.